Kasey is a highly effective communications strategist who excels in public relations, marketing management and professional writing services. Her ability to see the big picture while paying special attention to detail makes her specially suited to think strategically and then follow through to achieve results. 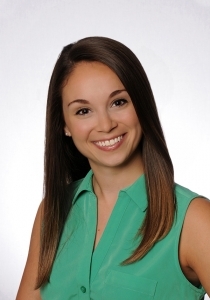 As our Account Executive, Kasey plans and executes PR activities on behalf of our clients. This ranges from drafting content to coaching clients for interviews to collaborating with the media to place coverage and everything in between. Kasey’s formal education includes graduating from Florida State University with a bachelor’s degree in English with an emphasis on Creative Writing and a minor in Communications. She has also earned her Graduate Certificate in Professional Writing from the University of Central Florida. While completing her education, Kasey served as a marketing intern for Girls Get I.T., a nonprofit organization focused on encouraging middle school and high school girls to explore the fields of math, science and information technology, and WEDU, West Central Florida’s leading Public Broadcasting Service (PBS) station. Kasey is passionate about helping nonprofits communicate their message and raise awareness in the community, and currently serves as the director of public relations for BeHomebase, a nonprofit dedicated to raising awareness of the need for loving, safe homes for teens in the system of care. Prior to joining True Blue Communications, Kasey served as Account Executive at NPC Creative Services, a full-service public relations firm serving organizations and professional trade associations in the healthcare and healthcare technology industries. She is an active member of the Tampa Bay Chapter of the Public Relations Society of America, the largest organization for PR professionals in the world.